Researchers from the Lieber Institute for Brain Development (LIBD) affiliated with the Johns Hopkins University School of Medicine have reported results from one of the largest studies of post-mortem human brain tissue that suggest that environmental influences during the prenatal period cause brain changes associated with schizophrenia, but that environmental influences in early adulthood, when symptoms of the illness typically emerge, may not be as important as originally thought. The study and its relevant findings were published online on November 30, 2015 in Nature Neuroscience. The article is titled “Mapping DNA Methylation Across Development, Genotype, and Schizophrenia In the Human Frontal Cortex.” Findings outlined in the paper shed new light on the potential role of environmental influences on an individual’s risk of developing schizophrenia. 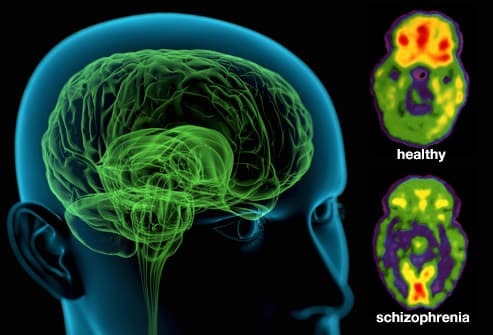 The role of the environment in causing schizophrenia is a hotly debated topic, with many theories focusing on the stressful environment in the early adult period that typically heralds the onset of clinical symptoms of schizophrenia. In this study, results suggest that the prenatal period, not early adulthood, is when environmental influences cause brain changes involving DNA methylation that are associated with a greater risk of schizophrenia. The environment can affect human biology, e.g., how your brain responds to experience, or how your body responds to exercise, by influencing the mechanisms that turn genes on and off. One of these mechanisms is called “epigenetics,” which involves changes in the chemical structure of DNA without changes in the inherited genetic code itself. DNA methylation is an epigenetic change that can signal an environmental effect.